LionsDeal > Tabletop & Bar > Menu/Information Displays >< Table Card Holders and Numbers > TableCraft BK1908 Mediterranean Number Stand with Flat Bottom 8"
TableCraft BK1908 Mediterranean Number Stand with Flat Bottom 8"
[Minimum Quantity 12] Mediterranean Black Table Number Stand, 8" tall, flat bottom, black, card & menu holder. 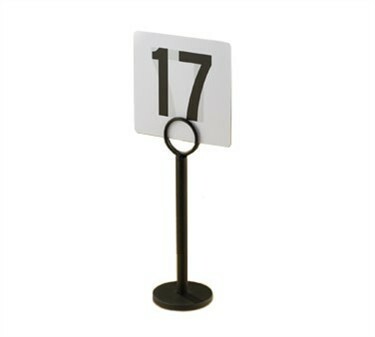 These short black table number holders are one of our most popular sizes and styles. The black table card stand blends in with a wide variety of restaurant and catering decors, making them super versatile. These are heavy weight, durable stands that will withstand the rough use of food service establishments. Mediterranean Number Stands by Tablecraft are the quality standard in the FoodService Industry. 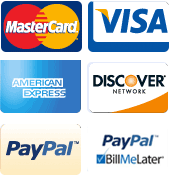 Holds the number cards really well and stands really well. My stainless steel number stands were constantly reminding me of old diners, these tablecraft black Mediterranean number stands were a great change. I feel like they look nicer and are more modern. Thanks.